Here are a few ideas to help you prepare yourself for the pilgrimage. The article on this website about Br. Alois’ visit to Romania in 2008 gives a useful overview. Bucharest in your pocket gives some basic history and information about the city and also a lot more. It can be a bit negative/jokey – but in general they love the city and it gives a balanced view and a feel of the city. Learn some Romanian: The young people almost all speak English and other major European languages, and often older people can speak French. You can communicate a lot with the hands and face (!) but they will be very touched if you manage to say just a few words in Romanian. (For example, try this site, although you can probably find better ones in your own language). The centre of faith for the majority of Christians is expressed in the Creed of Nicae-Constantinople. This great statement of faith was formulated by the first two Ecumenical Councils. The Eastern Orthodox see themselves as the custodians of the seven Ecumenical Councils ("ecumenical" means that the whole world took part). Since that time nothing has been added or taken away from the doctrines outlined by the Bishops of the whole world meeting together. Find out more about these councils. For the Orthodox, the Fathers of the Church are very important. Who are these fathers? When did they live? What did they write? You could even find a few quotations that you find particularly helpful. The monastic life and the spiritual father are at the heart of orthodox spirituality. 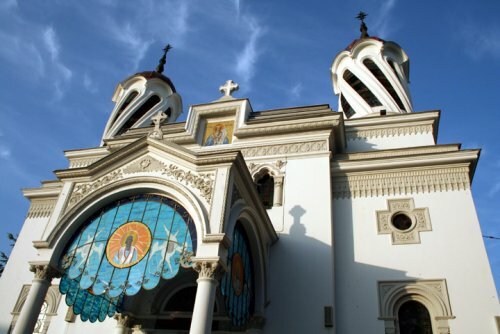 Romania has been blessed by a deep, rich monastic tradition. Probably the most famous Romanian spiritual father in recent years is Father Cleopa of Sihăstria monastery. Watch this video of him speaking about prayer. Other important figures include Fr. Arsenie Boca of Prislop Monastery, Fr. Teofil Părăian of Sâmbătă de Sus Monastery, Fr. Constantin Galeriu - a married priest from Bucharest, Fr. Dumitru Stăniloae - also a married priest and well known theologian. The place of ritual in Orthodox Christian practice: How and when do eastern Christians (Orthodox, but also Eastern Rite Catholics) make the sign of the cross? What other rituals are important to the orthodox faithful? 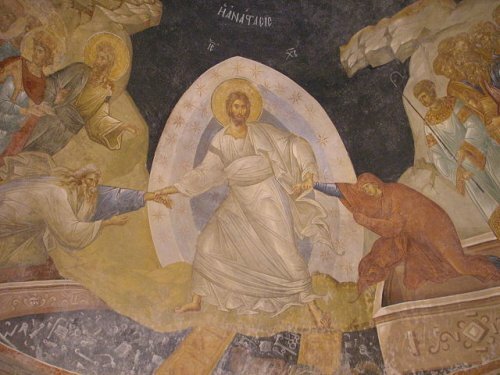 Most people have heard about icons, but how do the Orthodox see icons? How are they different from statues? How are icons used to nourish a life of prayer? When and how do Orthodox Christians fast? How is this different from western traditions of fasting? There are some good books about Orthodoxy. In French L’Église orthodoxe: « Que sais-je ? » n° 949 by Olivier Clément, an important Orthodox theologian of the Russian tradition, born in France. If there there is an Orthodox community near to where you live you can find out when their services are and try to go and visit them. Be aware that it can be like any church – they might be very friendly and welcoming – or they might be less so, some might even tell you to go away. Do not be put off!